​Holiday Kitchens offers multiple types of glaze applications to create a unique look to reflect your individual style. 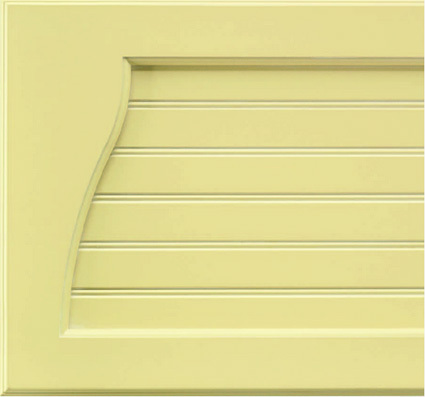 Variations in appearance can occur depending on wood specie, wood graining, door and drawer style profile, and molding selection. 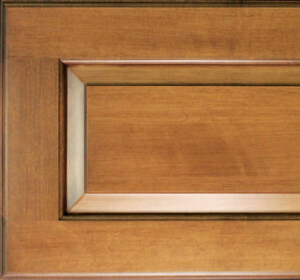 We recommend that you ask your Holiday Kitchens designer to see a door sample in your specific door style, finish, glaze and top coat combination. Glaze: Alpine, Toffee, Mocha, Onyx. 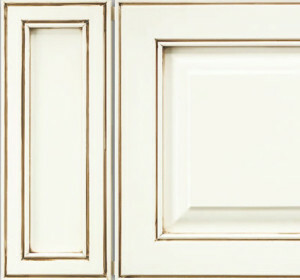 Holiday Kitchens glazes are applied to all visible cabinet parts including doors, drawers, cabinet sides, frames and moldings on stains or base coats. The hand application process is artistic in nature. The hand-wiping process allows hang-up variation in contours while enhancing the natural beauty of the wood. Ask your designer to see a door sample in your specific door style, finish and glaze combination. Wash: Latte, Mink, Vandyke, Graphite. Holiday Kitchens washes are applied to all visible cabinet parts including doors, drawers, cabinet sides, frames and moldings on stains or base coats. Washes are more refined than glazes. The hand application process is artistic in nature. A wash leaves less hang-up in the contours which creates a softer, more refined look while enhancing the natural beauty of the wood. 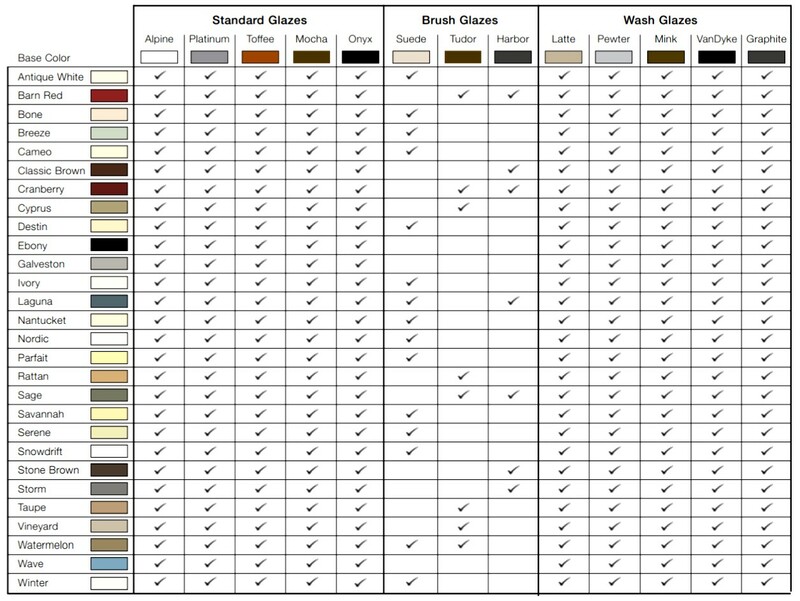 Ask your designer to see a door sample in your specific door style, finish and wash combination. Brush Glaze: Suede, Tudor, Harbor. Holiday Kitchens brush glaze is applied to all visible cabinet parts including doors, drawers, cabinet sides, frames and moldings. The hand application process is artistic in nature. The hand-brushing process changes the base finish color and varied brush strokes should be expected. 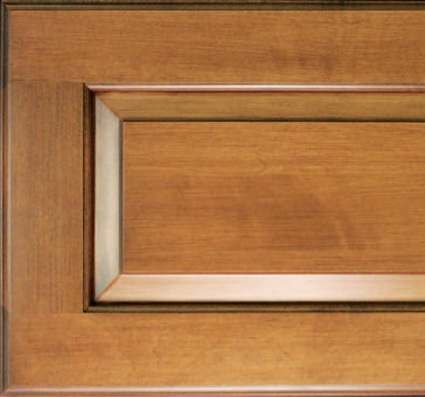 Ask your designer to see a door sample in your specific door style and finish with brush glaze.